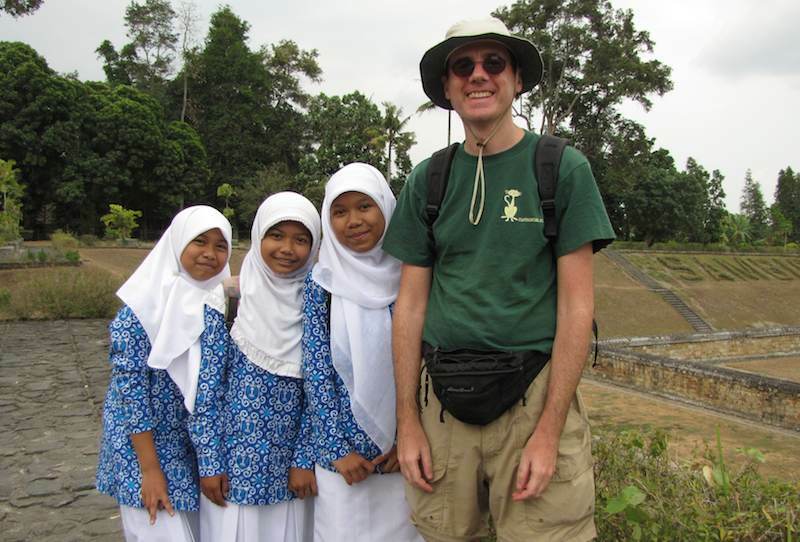 In Indonesia I am asked to have my photo taken with people much more than anywhere else. This one is at a very small temple (Candi Sambisari) that I don’t think gets many tourists but I think these girls were just waiting (and enjoying talking with each other) to get there photo taken with tourists. The girls asked the only other tourists there during my time there for photos also. I am wearing my Curious Cat t-shirt in the photo.